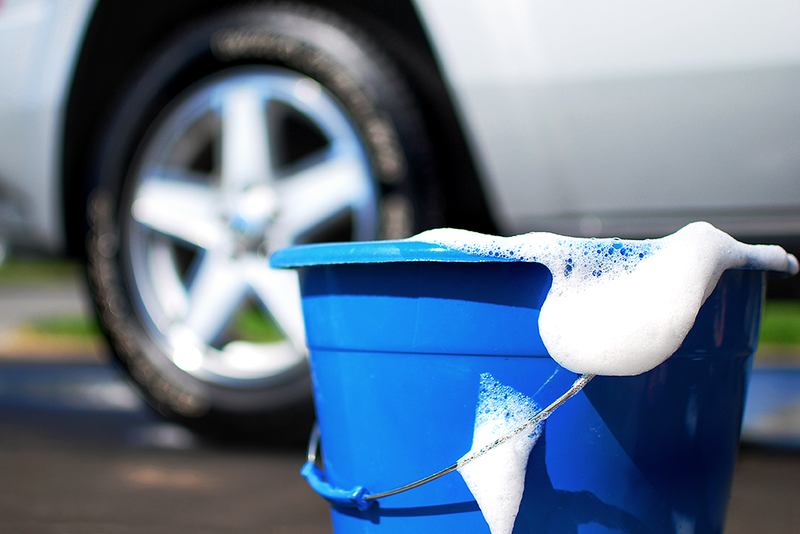 Car care experts have long endorsed the two-bucket method for hand-washing a car--one filled with soapy water and the other for rinsing off the wash mitt or sponge. Yet, a single bucket sometimes is more convenient as you walk around the vehicle and wash gritty surfaces. The problem: Every time you dip it into the bucket, your wash mitt or sponge can pick up contaminants that scratch painted surfaces. The answer: Grit guards, circular disks that sit at the bottom of the wash bucket. Especially after driving wintery roads, your vehicle can get splattered with everything from sand to small pebbles caked in dirt. Grit guards trap sediment at the bottom of the bucket. The result? A soapy wash rag or mitt that’s free of sediments that can create scratches or swirls. Easy-to-use. Simply place the grit guard at the bottom of your regular wash bucket. Prevent scratches and swirls. The grit guard helps rid your wash rag or mitt of dirt or sediment. Durable. Look for a product that’s built to last, read product reviews to find a quality grit guard. Brush up on the basics with these car washing tips, courtesy Adam’s Polishes. Be gentle. A shampoo that’s pH neutral cleans without stripping the wax or drying out the trim. Build up suds. Foam and lather are your friends. They keep the surface lubricated, preventing swirl marks and scratches. Finish with a spray wax. Laying down a layer of wax can protect leave a protective finish for as long as two months.